Charlie : Blog beauté. : Liebster award. This morning when I checked out blogger, I visited the comment section to discover that I've been nominated for a liebster award by this lovely lady, I'm gonna be honest I didn't quite know what it was, but it's a lovely idea, and I'm so happy to have been nominated ! 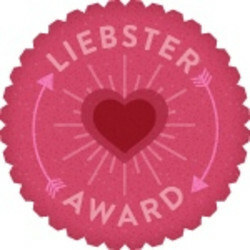 The Liebster award is for bloggers with under 300 followers and the rules of the award are that the nominee must link back to whoever awarded them, write 11 random facts about themselves, answer the 11 questions from the award giver and then nominate another 11 bloggers and make 11 questions for them to answer. Its a great way for new and undiscovered bloggers to meet new people, get more and followers and find some blogs that they want to follow. 1: I strongly dislike coffee, except for the caramel latte from Starbucks. Does that count ? 2: I have a cat, her name's Fluffy, she's mixed breed but she looks just like a ragdoll. 3: I'm a big reader, I like to believe that books are a cheap way to travel. 4: If I could live in any type of house, I'd want to live in a hobbit hole. 5: I'm a potterhead, and according to pottermore, I'm a slytherin (and I'm oh, so happy to be one). 6: I love drawing and painting although it frustrates me 'cause I'm a perfectionist. 7: I love running, I find it to be the best way to relieve anger, or tension. 8: I want to have, adopt and take care of children when I'll be older, I can easily picture myself with 6-10 kids around me every single day. 9: I love love, LOVE, music, doing it, listening to it, it's a big part of my life. 10: I used to be a dedicated wiccan when I was younger. 11: Llamas and alpacas are my favourite animal in the whole wide world, oh and unicorns as well. I can't choose just one, but I'd say my favourite colours are teal and lilac. 2. a song you love but wont admit? Boyfriend by Justin Bieber haha. I love any fresh fruits, especially apples, the pink lady ones. Are we talking beauty product? I'd say my Nars illuminator in laguna. 5. a song you know all the words too? There's too many haha, most eminem songs for exemple. I once fell down and got down the stairs on my bum in school when I was about 13/14 haha ! 7. something you did but regret? I don't regret anything, every mistakes that I may have made, made me stronger as a person, made me who I am, and I wouldn't want to be any different than what I am now. 8. something you didnt do but regret not doing? Again I don't really have any regrets, I think I've never turned down any opportunity that I could have really benefited from or whatever, anyway past is past, we can't change it so there's no reason to regret anything, I like to always look forward (:. I'm from France, but I've been to both and I'd say boots. 10.worst fashion mistake youve made? Oh boy, I used to only wear pink, and I was 12 so I have no excuse haha ! 11.be honest, do you know all the moves to the macarina? Of course I do ! 1: In a few words, describe your style ? 2: Do you play any musical instruments ? 3: Growing up what was your favourite book ? 4: Who are your biggest inspiration in life and why ? 5: What is one of your guilty pleasure ? 6: What's your biggest fear ? 7: What is one thing that you would like to accomplish in 2013 ? 8: Where in the world do you feel the safest ? 9: What's your favourite band/singer ? 10: Would you like to get married one day ? 11: What is one thing that you adore, but that everyone around you despise ? Je dois t'avouer que ce petit jeu me tente bien. Mais c'est vrai que je suis plutôt réservé sur ma vie et je ne saurai quoi dire... En plus, comme tu as pu le voir, je laisse un peu mon blog à l'abandon ces temps-ci. J'essaie de régler ce problème au plus vite et aussi voir ce que je peux faire de ce jeu! But thank you for nominating me!